On the 23rd of June 2016, 51.9% of the British population decided that the United Kingdom should leave the European Union. Over the past three years, ever-lasting debates and discussions between the European and British Parliaments have brought a cloud of uncertainty, doubt and concern over the procedure, leaving both citizens from the EU and from the UK perplexed as to what will happen once the UK will have definitely left the European Union. To this day, the British government, led by Prime Minister Theresa May, and the European Council, led by Donald Tusk, are yet to find an agreement on the terms of the exit, without which the UK will be forced to leave with a no-deal. The official date of withdrawal looming closer, 29th of March 2019, sees the level of concern rising on all parts. In January 2019, the British government attempted to ease this uncertainty by shedding light on the concern of nationality for European citizens living in the UK. The EU Settlement Scheme is designed to register close to 3.5 millions European citizens in the UK. To do so, EU citizens can either apply for a “settled status” if they have lived in the UK for a minimum of five years, or a “pre-settled status” if they are yet to meet this criteria (Home Office, 2019). Via this agreement, the British government hoped to reassure the European expats, but ended up facing a backlash of concern regarding the respect of certain European nationals’ right to nationality. Despite an effort to keep the procedure as simple, effective and accessible as possible, the government is accused of omitting vulnerable groups in the process and being blind to the complexity of the lives of certain of its citizens. In fact, from the 900 000 European children living in the UK, 5000 of them live separated from their parents, some have grown up in foster care or care homes, some might only know one parent or others simply come from a disadvantaged background, thus might face numerous difficulties when attempting to register due to a lack of filiation or a constant change of institutions (Coram Children’s Legal Centre, 2019). The Coram organisation ran a test and observed that a fifth of children failed to provide necessary documentation, and more than half required legal assistance. In the event these children have all necessary evidence and funds, those raised in foster homes or care systems are often faced with the eventuality that their application is denied due to previous criminal convictions (Coram Children’s Legal Centre, 2019). As a result, it is estimated that around 100 000 children could be left undocumented after the 29th of March. The government is urged to improve the EU settlement Scheme and adapt it to vulnerable groups, as it would not only deprive the children from citizenship but will importantly impact their access to healthcare, employment and housing. The right to nationality is not the only zone of uncertainty and concern regarding the relationship between Brexit and Children’s Rights. 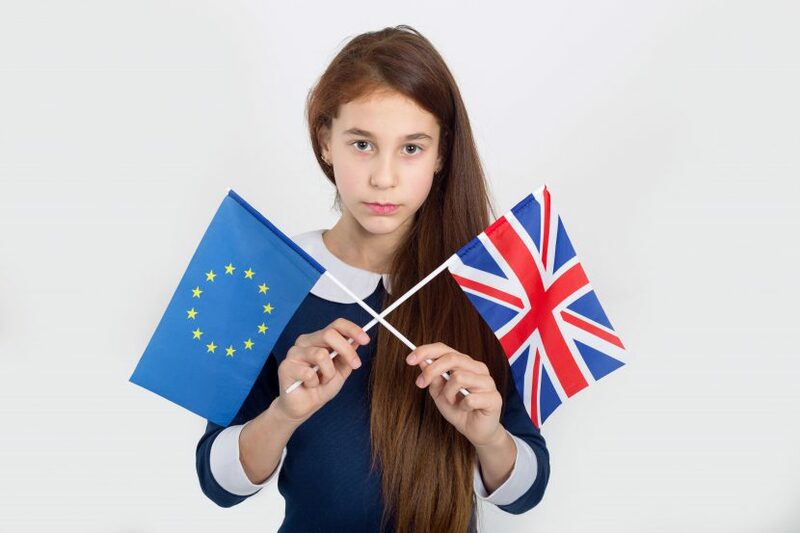 Recent reports highlight a fear of a judicial erosion and regression of these rights in the post-Brexit UK, justified by a number of European text-laws not being transferred to British legal books with the instance of Article 24 of the EU Charter of Fundamental Rights promoting the importance and prevalence of the child’s best interest in all institutional decisions (Children’s Right Alliance for England, 2019). In addition, numerous institutions have expressed their dissatisfaction with the overbearing presence of Brexit discussions in the House of Commons (Parliament) at the expense of serious Children’s Rights related issues, importantly growing in the UK and needing immediate attention, such as the increasing level of child homelessness or child poverty, growing from 3.9 million children living in relative poverty in 2014-2015 to 4.1 million the year Brexit has been voted, its highest rate since 2010 (End Child Poverty, 2017). Consequently, it is evident that Brexit will have its toll on Children’s Rights, but it is now in the British government’s hands to have the children’s best interests in mind when deciding of the UK’s future outside of Europe. We at Humanium strive to defend the rights of every child in the world, by raising awareness, working directly in the field and working to change attitudes.